Westprint is an Australian map publishing and book distribution company. We publish maps of Outback Australia specialising in specific areas rather than state or local borders. 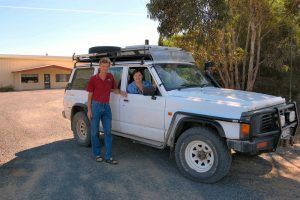 Our maps include the Canning Stock Route, Oodnadatta Track, Birdsville Track, and Gunbarrel Highway to name a few. Westprint maps feature informative text on the reverse side of the map to let travellers discover the history, the environment and things to see and do in the area. Requests by travellers for more information than could be included on a single map sheet prompted us to stock a range of books not generally available through main stream bookstores. Included in the Westprint range are guide books, historical books, limited editions, books about natural history, wildflowers and exploration. Westprint mainly trades through outback stores and businesses. Westprint staff have all travelled and lived in remote and rural Australia and feel most at home in the bush. They understand the advantages and disadvantages of running a business in a remote area and will try to make sure businesses in the bush are catered for. Head office is located in the rural township of Nhill. Westprint maintains and extensive website listing products for sale and phone enquiries are welcome. John Deckert, principal map maker. 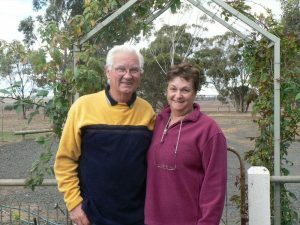 John and Bev have been roaming around the bush all their lives. They are practical travellers who have driven many of the tracks and researched the information shown on Westprint maps. John’s aim is to give the traveller a broad insight into the heritage of Australia and enhance awareness of our fragile environment. Bev is in charge of making sure all business processes are operating as they should (like making sure John doesn’t starve or get lost when they are out bush). Graeme Ussing, principal business manager and digital data expert. Jo Ussing, research, writing and book buyer. Graeme and Jo also enjoy roaming around in the bush and vow to do more of it when their kids leave home. Graeme is responsible for the day to day running of the business and oversees all distribution. Jo is the principal writer. Her job is to research information, write and proof read. She is also in charge of the book titles kept in stock. Laura looks after Westprint’s extensive research library and manages second hand and out of print books. To help people achieve their dreams of travelling in this great country called Australia. To encourage people to travel responsibly and cautiously. To encourage people to respect and look after our fragile environment and heritage while enjoying its beauty and significance. To provide Australia’s most comprehensive range of quality outback information. To ensure prompt delivery of products purchased to any part of the world in an efficient, reliable and cost effective manner. To provide polite, friendly and helpful service, value for money and genuine client satisfaction. Westprint publishes a free e-newsletter each week. Subscription is available to both shops and individuals. The newsletter can be used to promote any activities in your area.